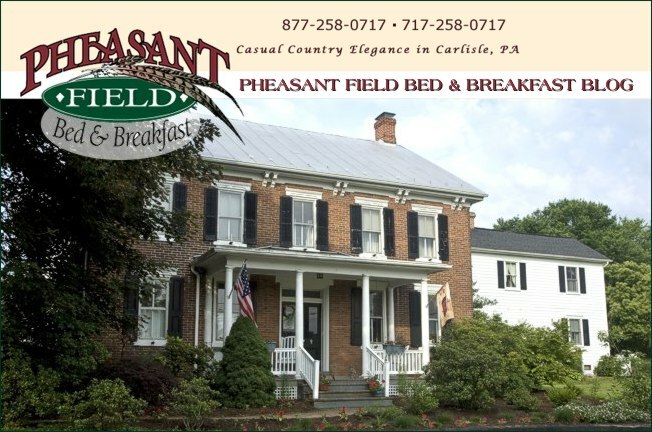 Ben Franklin (aka Chris Lowell) recently stayed here at Pheasant Field B&B. The actor who portrays the wise and wonderful Ben Franklin graduated from Dickinson College here in Carlisle. He was in the area to perform his historical portrayal of one of our founding fathers. So Ben - or rather Chris - met one of his fellow alumni here, to share a few memories and a few laughs. It was great to have him here especially so near the 4th of July!